Lord Mayor's Robes Perfect Fit! 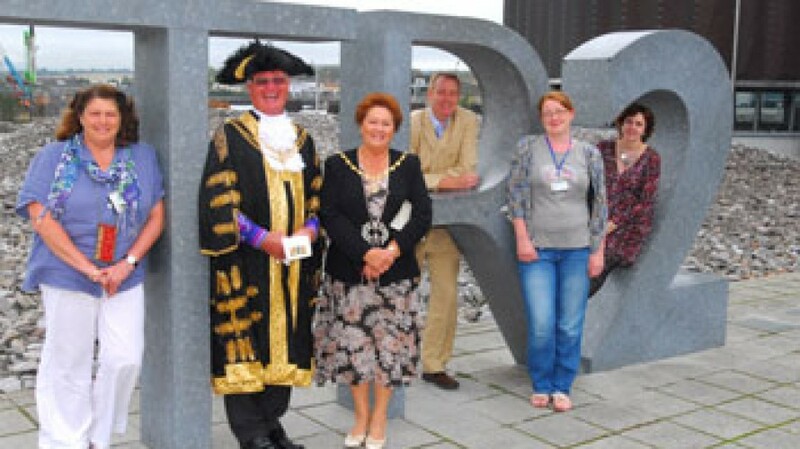 The Lord Mayor can feel comfortable in his robes, after wardrobe staff from the Theatre Royal Plymouth’s production centre TR2 altered his official robes to make sure they are the perfect fit. During his visit, the Lord Mayor and Lady Mayoress were given a tour of TR2, including the wardrobe department, rehearsal spaces and set building area. They also had the opportunity to spend time with the wardrobe department finding out more about the intricacies of altering the robe, as well as their day-to-day work of making, repairing and altering costumes for theatre productions. The Lord Mayor and Lady Mayoress presented the team with a card and small gifts as a thank you for altering the robes. See All News Next Article: The Phantom is here!